Here’s the short answer: it can be good for your teeth, but should never be a substitute for teeth brushing and flossing. 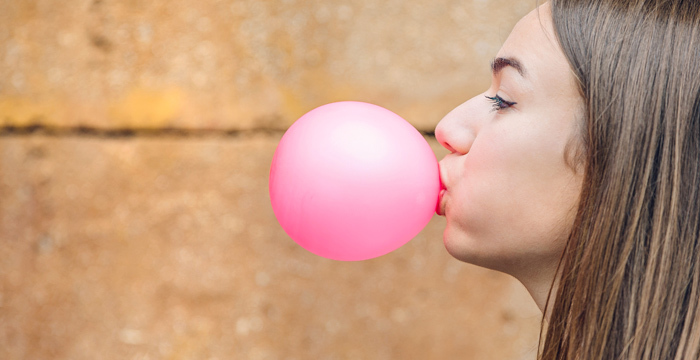 You may have heard the claim that chewing sugar free gum can prevent categories. And while this is not entirely true, according to the ADA, studies show that chewing sugar free gum can actually help prevent tooth decay. Specifically, those who chewed sugarless gum for at least 20 minutes after meal consumption had less tooth decay than those that didn’t. Ok, so it can help minimize tooth decay. But how? When you chew sugar free gum, it increases saliva production. Saliva is known to neutralize acid and can also wash away debris in the mouth. It’s important to make sure you choose a sugar free gum as actual sugar may damage teeth. And if you’re not sure what gum is sugar free, look for the ADA seal to be sure. All gums with this seal are sweetened without sugar and meet certain criteria for safety. Click here to see what the ADA seal looks like and to learn more. So yes, sugar free gum can be a good addition to your already established oral hygiene routine but it may not directly prevent cavities. And go ahead, chew a piece of sugar free gum after meals and snacks to remove food particles and neutralize harmful acids in your mouth.